14 composer.json Contains information about package. composer.lock Captures precise state of project. 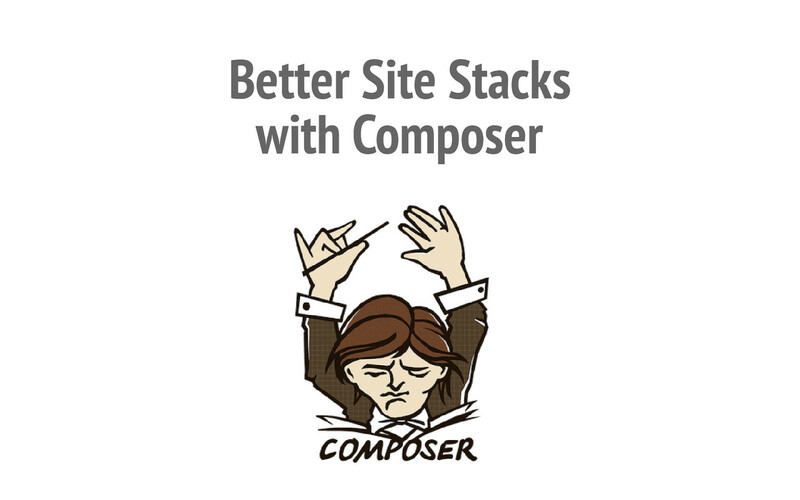 View Better Site Stacks with Composer on Notist. This presentation explore gaps in WordPress tool chain for code dependencies, technical organization of whole-site projects, hosting and consuming PHP code. See why Composer dependency manager caught on like wildfire for these tasks in PHP ecosystem and how it can empower more robust and professional approaches to WordPress development. Keep a better history of a project’s state, manage and easily share different contexts (production or development, stable or unstable), integrate multiple version control repositories with trivial ease, run and own your code hosting infrastructure. Composer all the things! @Rarst Uncommonly well designed slides for a tech talk! Nice. Andrey @rarst Savchenko on "better site stacks with Composer" at #wceu - great job!